MINI LIVING will begin construction of their first real world project by the end of 2017 in the Jing’An district of Shanghai. Following a series of staged installations at Milan Design Week and the traveling MINI Urban Cabin project, this is the first time the team at MINI LIVING will apply their learnings to a permanent site. The location is a former industrial complex of six buildings that at one time housed a paint factory. 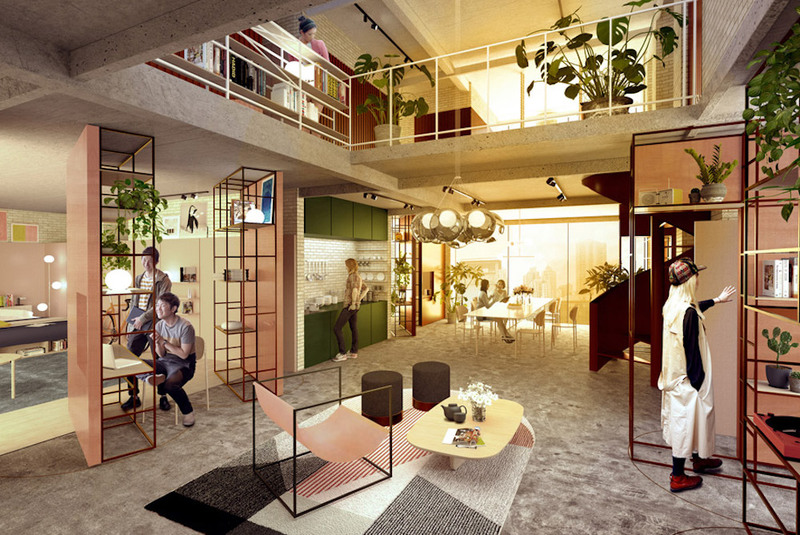 MINI LIVING is partnering with Chinese developer Nova Property Investment Co. to rehab the unused buildings into apartments, working spaces and cultural/leisure offerings. The project will be designed following MINI LIVING’s “Creative Use of Space” motto, seeking to maximise quality of life within minimal spaces. The core of the project is residential and will accommodate singles, sharers and families for short, medium or long-term stays. 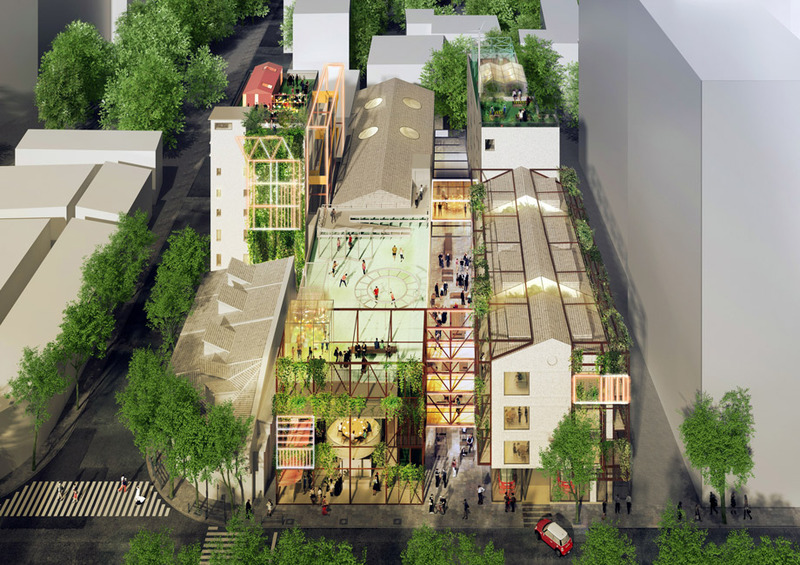 The layout serves as an incubator for the formation of a tight knit community. 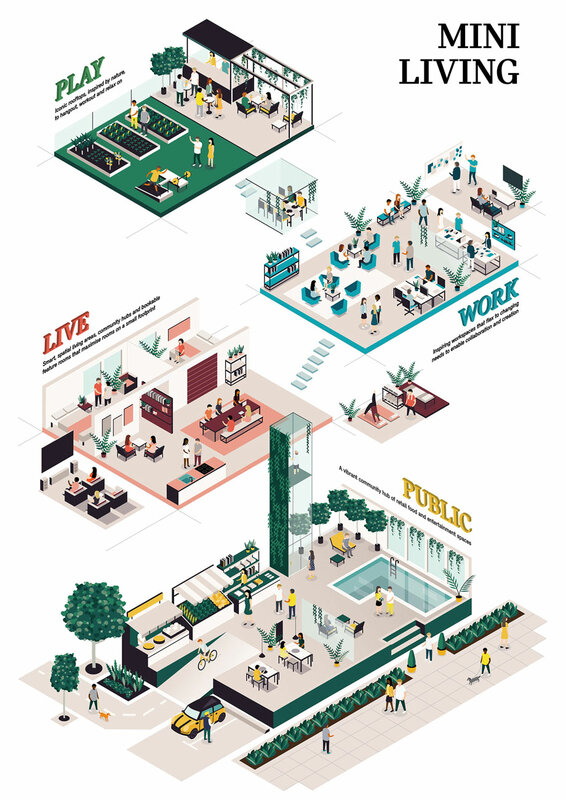 A multitude of planned shared resident-only spaces including co-working offices, lobby lounges, galleries and a food market facilitate resident interaction and a neighborhood feel. The site will also have spaces accessible to the general public including gardens, play areas, shops and restaurants. MINI LIVING is also looking at ways to more seamlessly integrate digital services residents can access. Making restaurant reservations, requesting apartment cleaning, food delivery and access to car sharing are planned. The idea is like a virtual concierge and is an interesting extension of the micro neighborhood concept of the site.